Mental illness is stigmatized, misunderstood, and is a topic of conversation that is generally avoided. That’s why owning up to the fact that you have a mental illness like Dermatillomania, which is arguably stigmatized and misunderstood to a greater degree than other mental illnesses, is an intimidating process. At Picking Me Foundation, brave Dermatillomania sufferers often send us details about their battle with this disorder. Sending us their stories is a form of ownership and we don’t take for granted how difficult this process of opening up is. Often, the first time sufferers talk about their Dermatillomania is with us. "Okay here goes nothing, I pull and peel the skin off the tips of my finger,” Dermatillomania sufferer Dawn wrote to Picking Me Foundation. “I have always been too embarrassed to talk about this to ANYONE. And I am over 60 years old. I have done this since as far back as I can remember. It started with nail biting in grade school. I feel very alone in the world with this." Taking ownership of your Dermatillomania isn’t easy, but it’s a liberating feeling as sufferers reclaim a part of their life that their skin picking had previously taken away from them. Owning your dermatillomania can take many different forms. Advocate: McKeaney is the queen of this as advocating dermatillomania is the crux of Picking Me Foundation’s mission as she strives to encourage sufferers to choose themselves over the mental illness that chose them. Telling your story: when people ask “what’s with your skin,” use this as an opportunity to tell all or part of your story. Create a social media account on Facebook, Twitter, or Instagram and follow different people and organizations associated with Dermatillomania to get a feel for the vibe of this community. This will also give you a pool of people who you can reach out to who you know understand what you are going through. Educate: Dermatillomania is stereotyped, stigmatized, and misunderstood. Make the world a less ignorant place and teach others about Dermatillomania. If you’re comfortable enough to do it unprompted, channel your inner prophet and spread the word on skin picking. But like telling your story, casual instances where people ask ‘what’s with your skin’ or other questions are perfect opportunities as well. 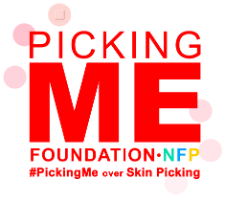 Take The Picking Me Pledge: it challenges sufferers to commit to something that they are doing over their picking. By taking the pledge, they are acknowledging that they have Dermatillomania while holding themselves accountable to make sure they are picking something else over the mental illness. 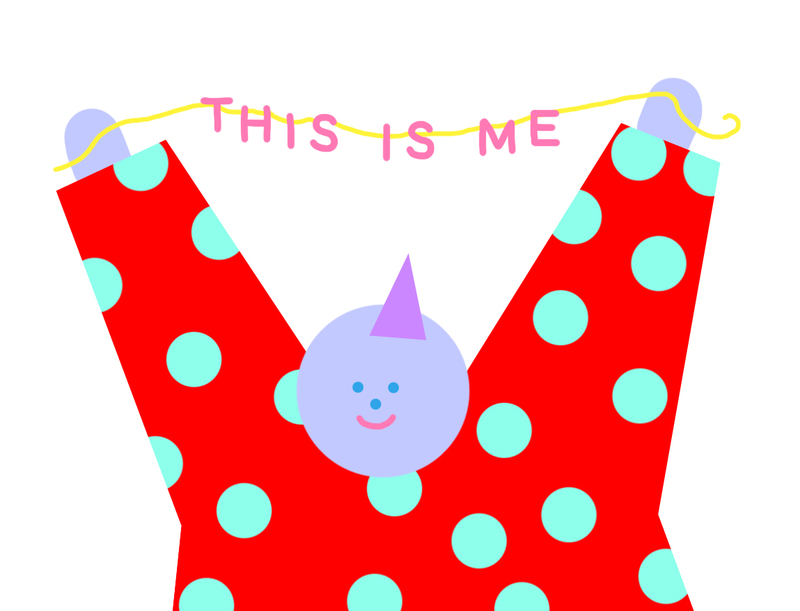 Taking ownership can also take the form of recognizing signs that you are about to pick. You are acknowledging that the picking is a problem and consciously taking steps to correct it. Knowing your triggers, being cognizant of where your hands are and what they are doing are all ways to do this. Although ownership is difficult, it’s ultimately worth it.